Time to celebrate! This beautiful decorative garland will certainly be noticed by your party guests. Featuring classic lettering in gorgeous rose gold foil. 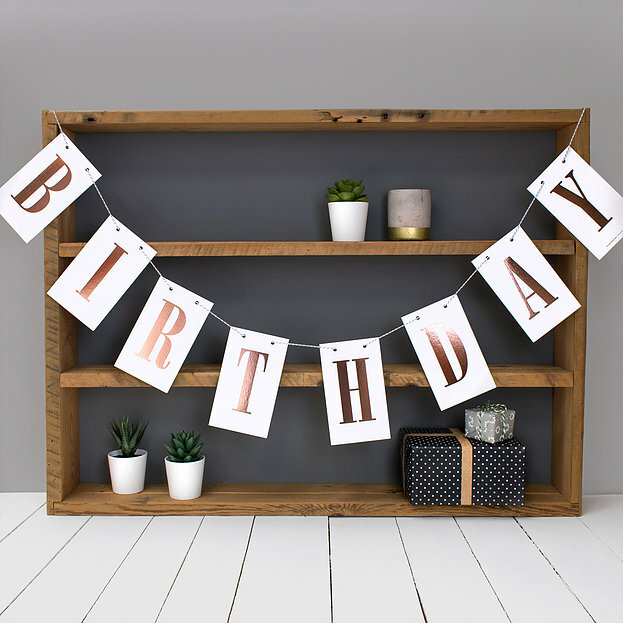 This sparkling metallic birthday bunting looks great hung on a wall, shelf or fireplace. Simply thread the letters across the rustic baker's twine provided for a stunning decoration.